Consider swapping out incandescents and CFL bulbs for LEDs. They are 90% more efficient, contain no harmful gases and can last up to 20 years! Ikea has some of inexpensive options. Consider unplugging chargers, adapters and small appliances. Phantom energy is the electricity that electronics pull from the outlet while plugged in, and can waste as much as 10% of your home’s energy. Consider moving furniture and large items from blocking vents so air can circulate more freely and improve heating system efficiency by 25%. If you are able to, consider adjusting your thermostat to 68 when at home this fall and winter and 60 when you are out. For each degree you adjust the thermostat back, you can have a 1-2% savings on your energy bills. Consider turning off EVERYTHING before heading out the door. Lights. Computer. TV. You name it! Consider changing your power management settings to Energy Saver Mode and get rid of your screen saver. It cuts energy consumption and prolongs the computer’s battery life. Use daylight wisely. Keep drapes open during the day to let in the rays and close them at night to keep out drafts. Consider waiting to do laundry until you have a full load and when you do put it on the cold wash (BRIGHT COLOR SETTING). It extends the lifespan and vibrancy of your clothing but it also saves 90% of the energy that would have been used to heat the water. Heating hot water is the second highest energy expense after general heating. Typically it accounts for about 20% of your utility bill. 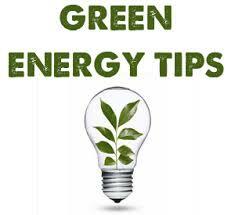 Consider turning down the thermostat of your water heater, insulating your water heater or limiting your hot water use.